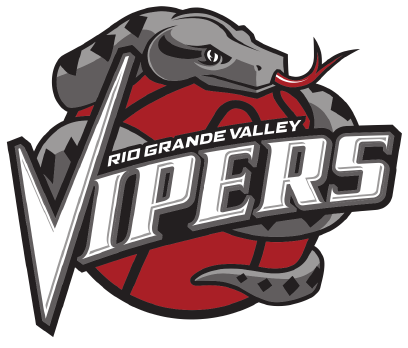 Down their seven leaders in minutes played for the season, the short-handed RGV Vipers suffered a 144-141 loss to the Texas Legends on Saturday at Dr. Pepper Arena in Frisco. Julien Lewis scored a career-high 32 points in 35 minutes, eclipsing his previous best by 10 points. He connected on 10 of 19 shots from the field and 11 of 12 at the free-throw line. Shane Richards, who had scored in double figures just twice entering Saturday, dropped a career-high 28 points on 7-of-13 3-point shooting in 43 minutes. Richards took RGV’s final shot, missing a potentially game-tying 3-pointer with 0.4 seconds remaining. Markel Brown scored 29 points with 10 assists in his second game with the Vipers after being traded from the Oklahoma City Blue, Isaiah Hartenstein had 13 points and eight rebounds, and Chris Walker scored 20 points with eight rebounds. Little-used reserve Craig Victor started and played 35 minutes, while Kevin Hardy and George de Paula were the only other players in the Vipers’ eight-man rotation. RGV shot 51.1 percent from the field and 47.2 percent from beyond the arc, but Texas shot 55.2 percent from the floor and 40.6 percent from 3-point range. The Legends outrebounded the Vipers 47-33. Texas led by as much as 124-109 early in the fourth quarter before RGV scored 10 straight to set up a tight finish. RGV pulled into a tie once, at 132 with 2:52 to play, but did not hold a lead after the second quarter. The loss drops the Vipers to 18-12 on the season, with the team returning to action at 7 p.m. Wednesday on the road against the Iowa Wolves.